Ariel Upton is the Marketing Coordinator for Duo Consulting and Cloudbakers' first guest blogger. I like to build things. Ikea furniture, 8-layer cakes, complex marketing content calendars, anything that requires multiple steps and multiple tools to reach completion. I like a challenge and I like the path I have to take to get to the end game. We implemented our marketing automation platform two weeks ago at Duo Consulting, and I haven’t stopped building since we were given the green light. Any good handywoman knows that to get the job done right, you need the right tools. In order to create, analyze, and evaluate the content I am creating, I rely on a handful of tools to help me get the job done right and well. Social Publish allows me to populate, schedule, and evaluate the performance of my posts to Twitter, LinkedIn, and Facebook in one interface. Not only can I craft individual messages to be distributed to the different platforms, I can post to multiple accounts within each. If I am promoting an event, like our upcoming one on July 30 on marketing automation, I can post on my personal twitter account, my CEO’s, and our company page with one click. Every platform has this valuable feature and I am sure every other marketing automation manager sprints to this tab in the morning to see how their e-mails have done. What I find most useful about marketing automation: the easy to read layout of the report. The breakdown cuts straight to the chase: how many people opened it, how many people clicked, and how many people bounced. Thank you for giving me a platform that allows me to easily access the information I need. Who is coming to your website, what are they looking at, what do you think they are looking for? These are questions I ask myself when I look through both known and unknown visitors to the Duo site. I am able to see how many pages people have visited and which piece of content led them to the next. I am now getting a much better idea of what kind of information people are looking for and I can now build a platform of content that best suits their needs. Are you interested in learning more about marketing automation? 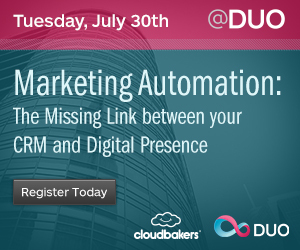 Duo Consulting and Cloudbakers are hosting a happy hour event on July 30 to discuss marketing automation, CRM, and your online digital presence. Author Bio: Marketer, singer, queen of sunshine, and guest writer for the Cloudbakers blog. 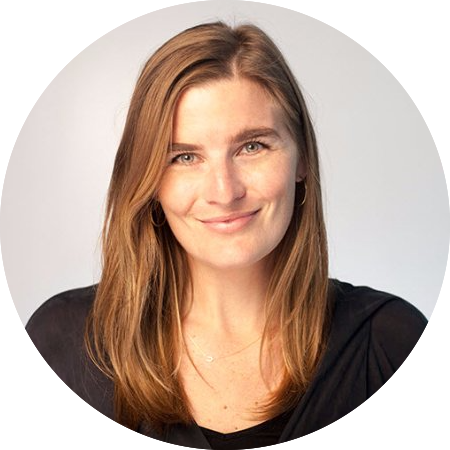 Ariel is experienced in a variety of SaaS platforms such as HubSpot, Microsoft Dynamics, and more.